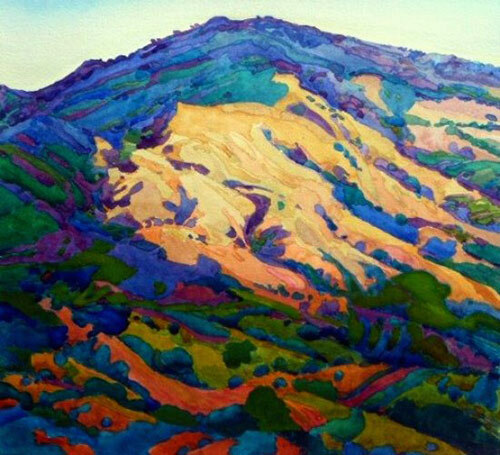 Robin Purcell is a signature Member of the National Watercolor Society and the California Watercolor Association. 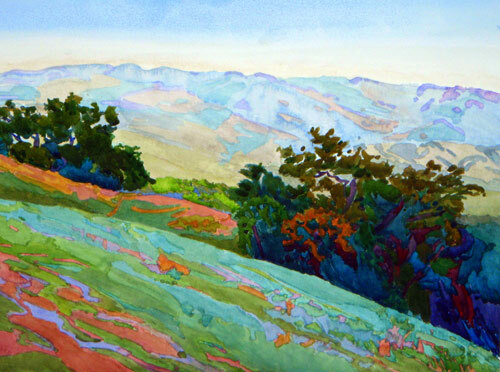 Born in 1956, she shares a birthday with one of her artistic heroes, William Wendt. Robin was educated at the University of Connecticut, earning a BFA in graphic design with additional studies in Art History. In Boston, Robin studied with William Ternes. She exhibited at the Copley Society of Boston - "the oldest Art Society in America". 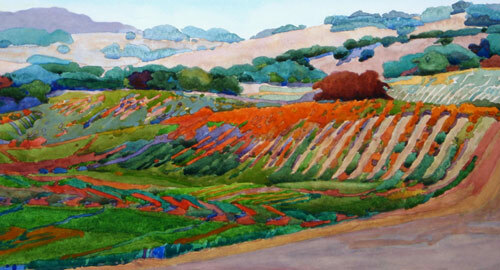 Over a decade ago, Robin relocated to California where she fell in love with the landscape of Northern California. 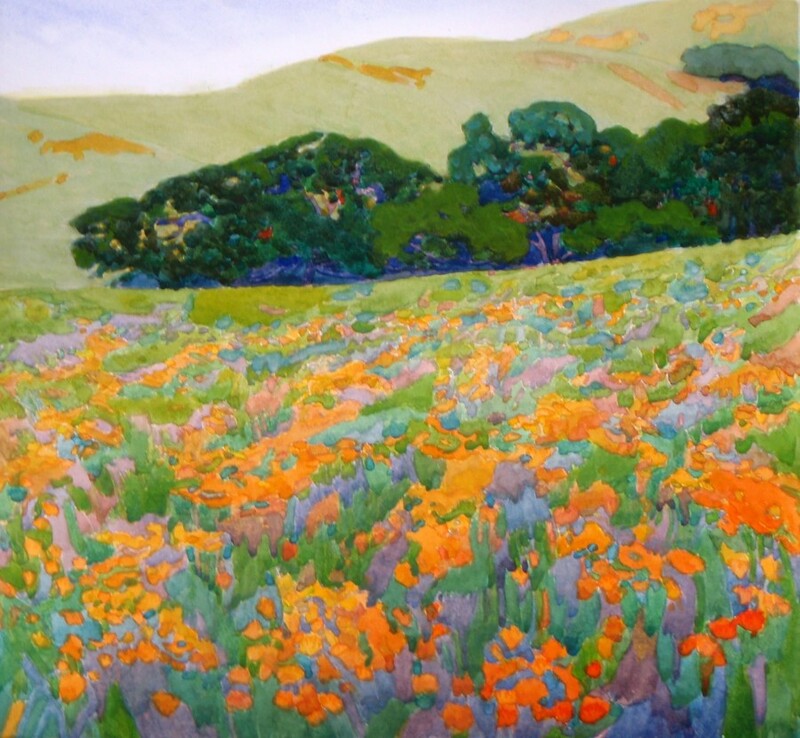 The California Plein Air Painters from the early Twentieth Century were an important discovery and a strong influence. 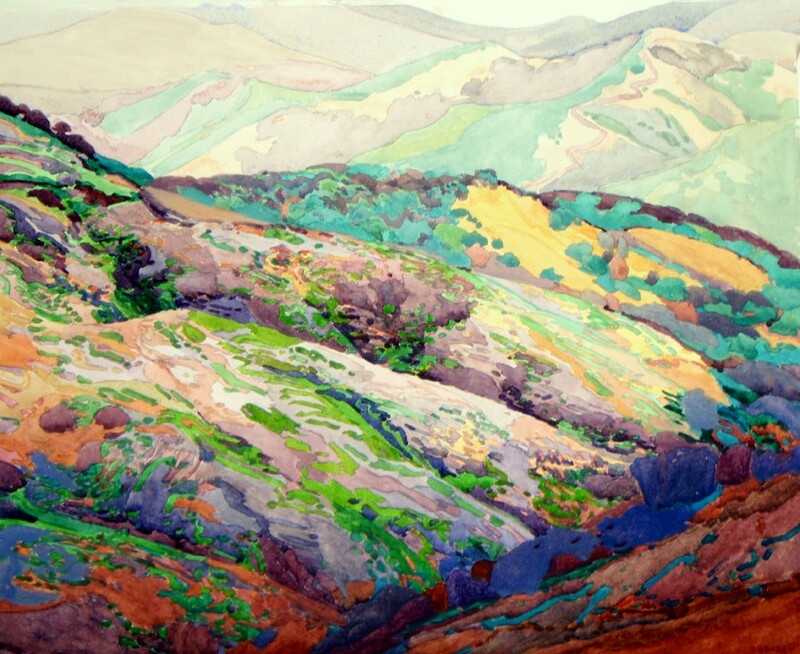 She began interpreting landscapes as if she were painting a floral, pushing neutral colors towards vibrancy, and simplifying shapes. 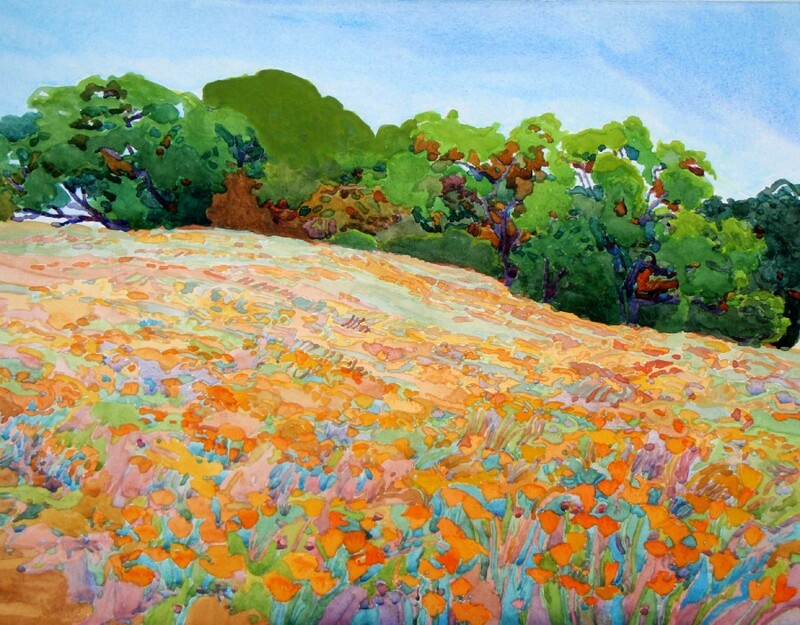 Robin Purcell's paintings have been juried into many exhibits, both nationally and internationally. 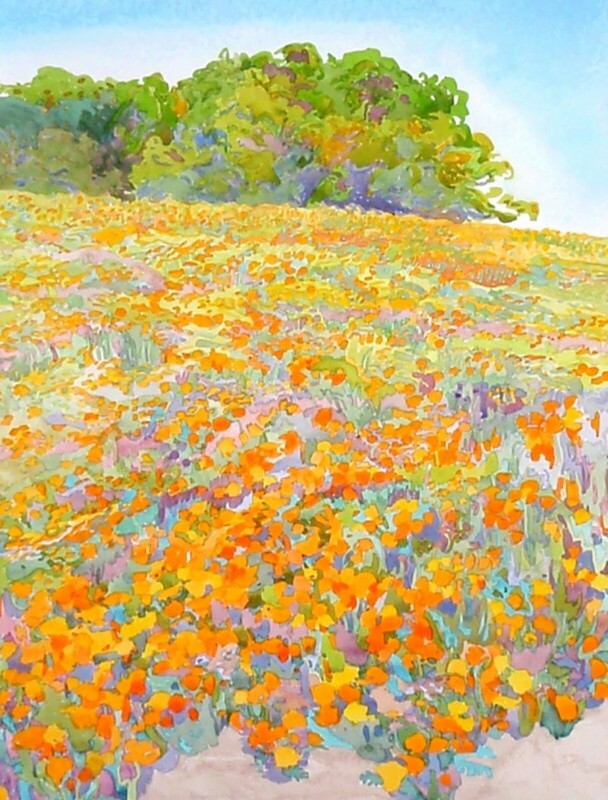 Her paintings are in private and corporate collections across the country. 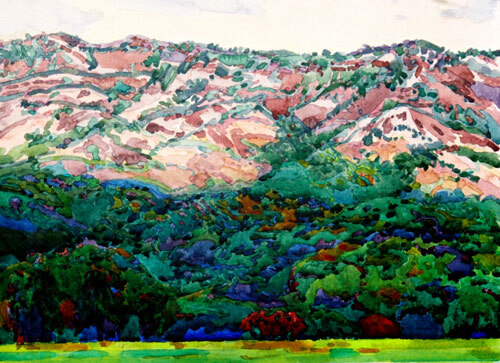 Her work has been described as "a precise patchwork of vivid colors" and as "dazzling" and "jewel like". 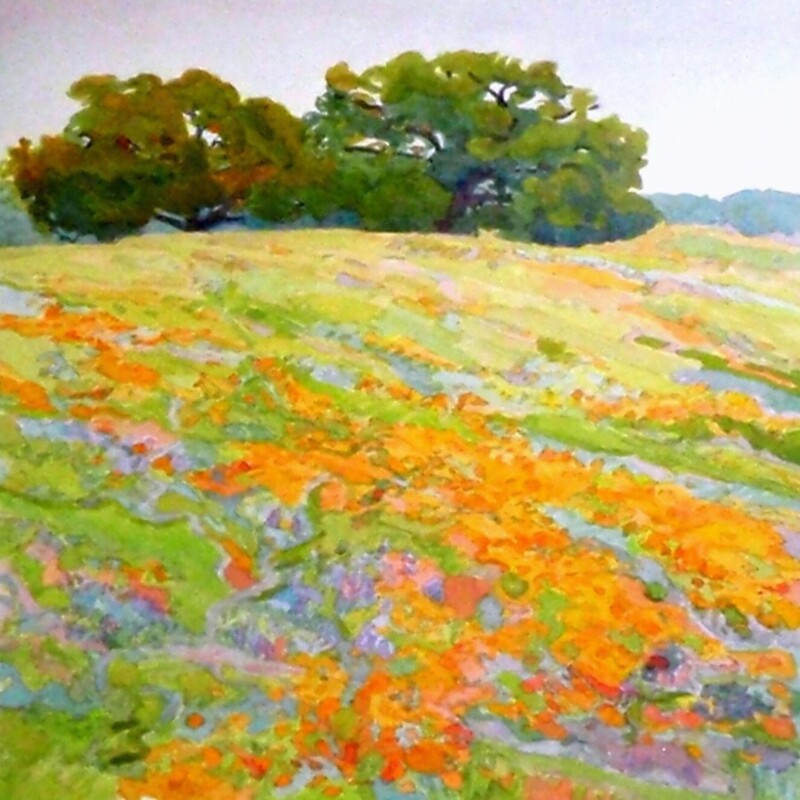 She participates in Plein Air activities in California such as the Carmel Art Festival and the Sonoma Plein Air Event. 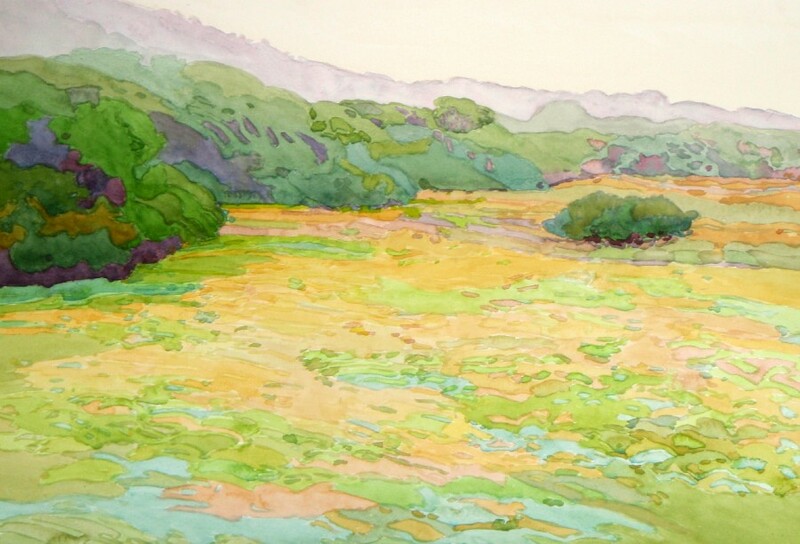 In December 2007, Watercolor Artist Magazine selected her as "one to watch". 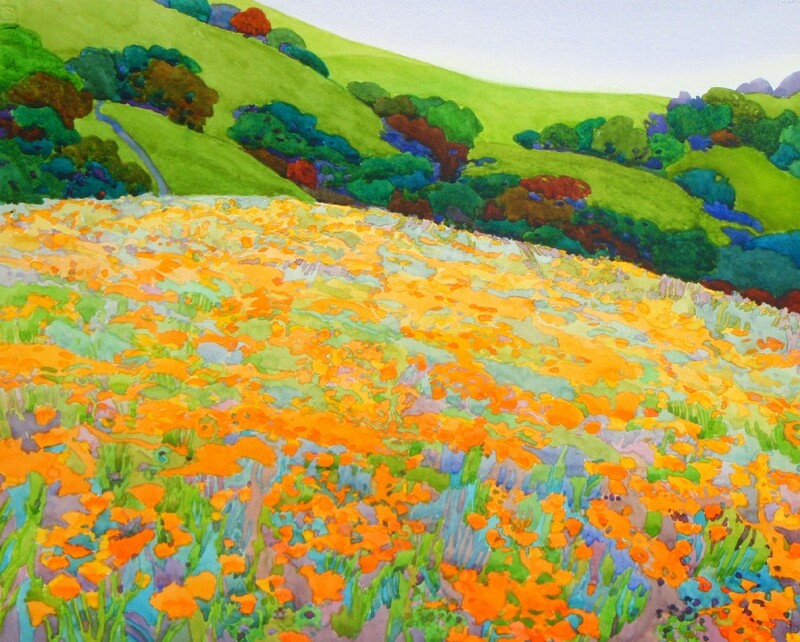 In December 2008, Purcell earned Artist Member status in the California Art Club. 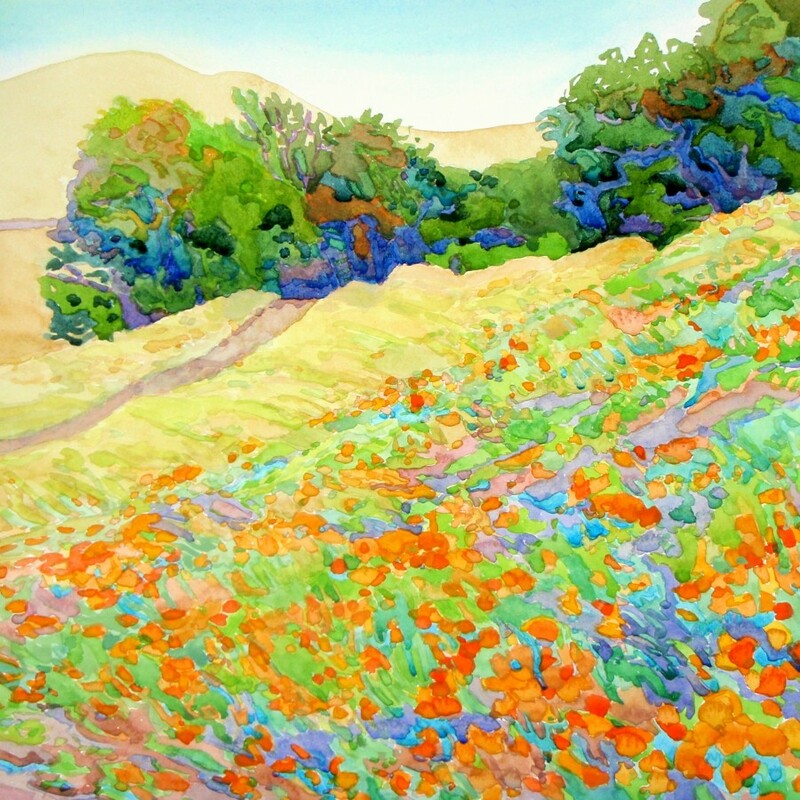 She has been published in North Light Books Biennial "Best in Watercolor" Splash Editions 9, 10 and 11. 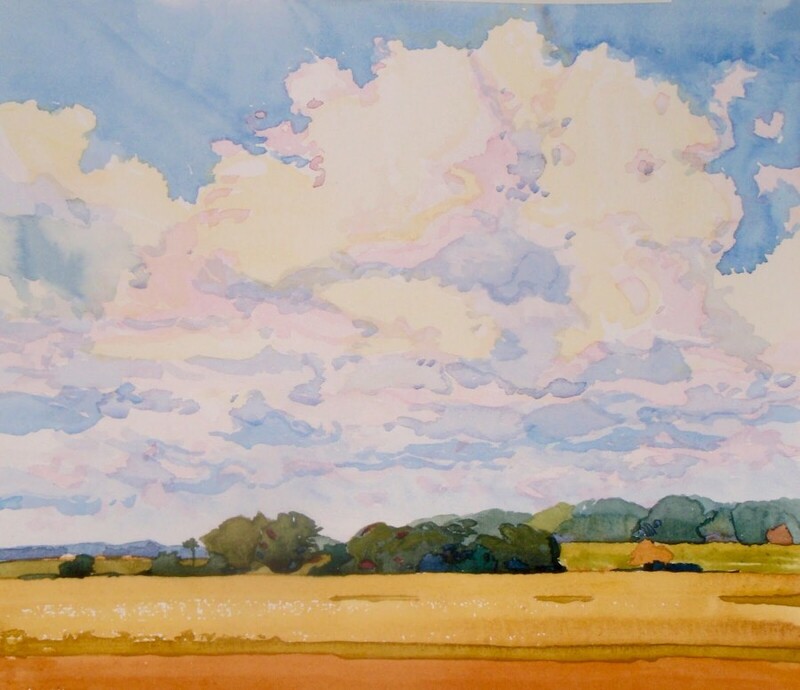 Currently she has a painting at the 142 American Watercolor Society International Exhibition at the Salmagundi Club in Manhattan. Robin was featured on the cover of The Artist's Magazine, June 2011 as well as having an article detailing her work featured within.